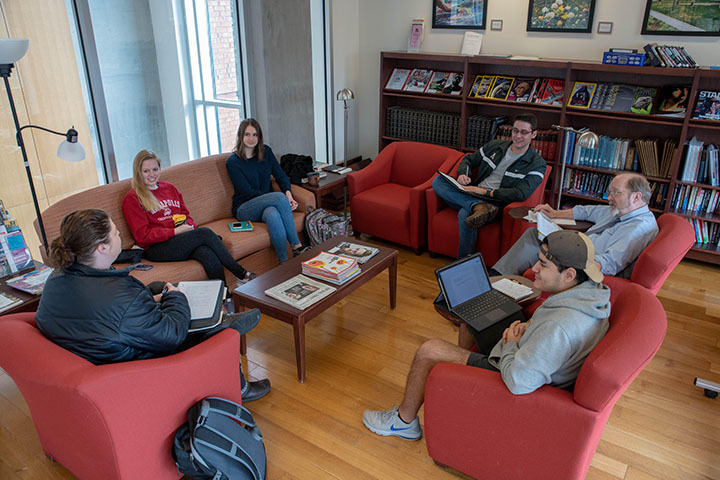 AHA is reinventing and reinvigorating itself to better serve Appalachian's Honors students and the Honors College. We are holding our first general meeting thisThursday, January 31, 6:00 to 7:30 p.m. to plan great events for this semester. We'll meet in the Honors College Library on the top floor of Appalachian Hall. For more about our plans with AHA, check out the news story below. 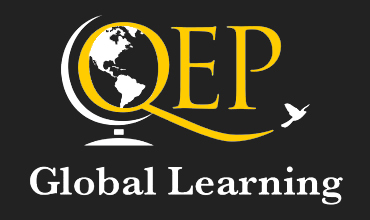 Also, don’t miss the news story below about Carly Pegg’s trip to Zambia, and take note of the Gilman Scholarship in the Upcoming Opportunities section below. The photo above shows last week’s AHA Executive meeting. Photo by Garrett McDowell. The Career Development Center presents “Careers for Impact”, a lunch on February 20 from 12 to 1 p.m. in the Parkway Ballroom of the Student Union. This event will showcase businesses and non-profit organizations whose missions are purpose-driven with a focus on creating a sustainable and inclusive economy. For a list of employers that will be in attendance and for more information, please visit our website. The biannual New River Symposium celebrates the ecological and social values of the New River bringing together the river’s diverse constituents, while providing a forum for partnership, research and policy development. This years symposium will be held at Appalachian State on April 11 and 12. Proposals for presentations to this symposium are now open and will be accepted until the deadline of March 1. Please click here for more information. Summer Policy Institute (NCSPI) is an initiative to foster the state's next generation of public policy leaders through a combination of seminars, panel discussions, and workshops. During this engaging experience, students will gain a broader understanding of the tools needed to contribute to the policy process. This opportunity is open to rising undergraduate juniors and rising undergraduate seniors. The application is due by March 1, 2019. Please visit our website to learn more. 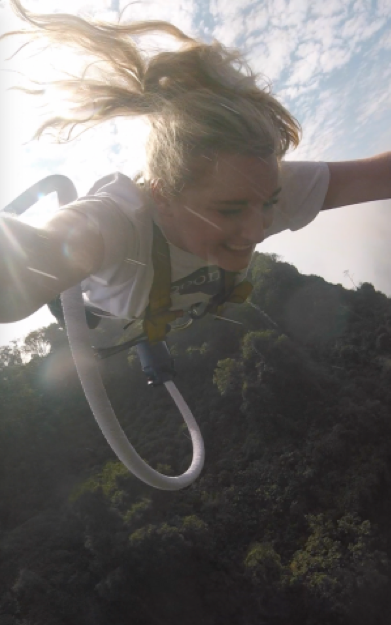 The Gilman Scholarship enables students of limited financial means to study or intern abroad. If you have any additional questions or concerns you can schedule an NCS advising appointment by clicking here. Applications are now open for the Gilman Scholarship and are due by March 5, 2019. To apply for the scholarship, please click this link. The Spring Education Abroad Info Fair is a chance to learn about some of our faculty-led programs still recruiting for Summer '19 as well as speak to Education Abroad advisors and returned study abroad students about semester and partner summer programs. The fair will be held in the International Hallway in the Student Union tomorrow (January 31) between 11 and 1 p.m. For more information, please visit our website. Want to engage in meaningful conversation with others across campus? Join a Dialogue Circle! Circles will start at the beginning of February and will consist of about 8-12 students in each circle! To signup, please click here. Wellness Educators for Change, Advocacy, and student Needs (WE CAN) is a part of Wellness and Prevention Services currently looking for new members. Applications are due by tomorrow (January 31) and you will be contacted for an interview by February 1. To learn more about WE CAN and the application process, please visit our website. The second film in this film series will premiere on February 5 at 6 p.m. in Belk Library room 114. There will be a discussion following the movie by Ellie Dudding, a graduate student in Appalachian Studies. For more information about this event, please visit our website. #Hygge: What is it and how could it help your mental health? This Danish concept (pronounced "hoo-ga") has become popular on Instagram, but research shows it could also help you beat the Winter Blues! Come learn about potential mental health benefits of hygge, and ways to practice bringing it out of your feed and into your life. This informational event will be held on February 5 from 5:45 to 6:45 in the Beacon Heights room of the Student Union (room 417). For more information, please click here. AHA officers after their second executive meeting of the semester. Photo by Garrett McDowelll. 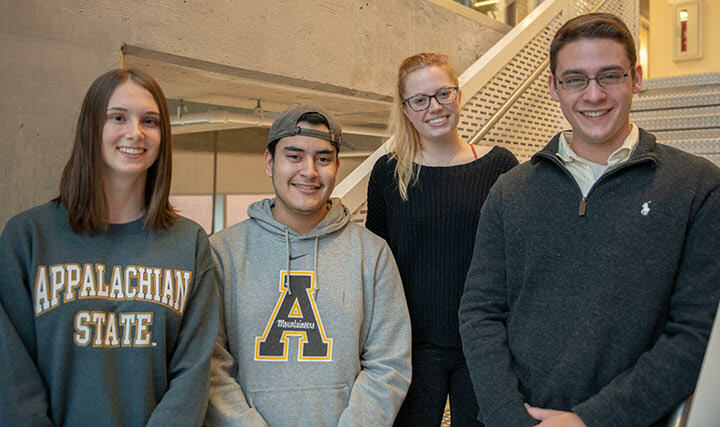 For the Spring semester of 2019, the Appalachian Honors Association (AHA) underwent a change of leadership and set its course on a new goal with revamping AHA. AHA officers are: Miguel Rice (President), Paige Skinner (Vice President), Anna Ruth Carmichael (Treasurer), Brad Rentz (Secretary), and Molly Campillo (Peer Mentor Committee Chair). AHA is still currently looking to fill three more positions: Community Service Chair, Social Media Chair, and an Event Programming/Coordinator Chair. For the complete story by Brad Rentz, please click here. Honors senior Carly Peggs spent the Summer of 2017 in a clinical shadowing program at Levy Mwanawasa University Teaching Hospital in Zambia. Peggs is a pre-Med psychology major, also pursuing minors in biology, chemistry, and medical humanities. This faculty-led study abroad experience fulfilled her international education requirement for Honors and was funded by the Benjamin A. Gilman International Scholarship.